The Clarendon Hills Country House is a great spot for a quick business lunch, a relaxed dinner, or just to have a cocktail with your neighbor. 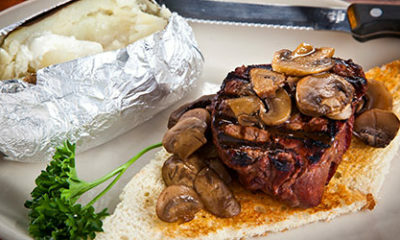 We are best known for our highly touted “Country Burger” a hearty half pound served on dark rye. 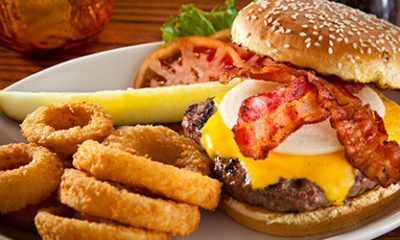 It was recently voted “Chicago’s Favorite Burger” by the readers of The Chicago Tribune. Come on in and enjoy FREE peanuts at the bar, so be aware of peanuts and peanut dust. 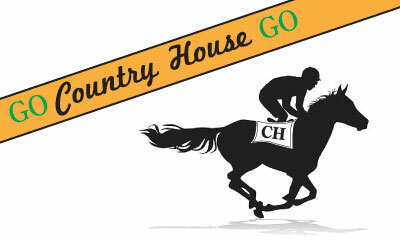 A horse named COUNTRY HOUSE will be running in this year’s Kentucky Derby on Saturday May 4th. 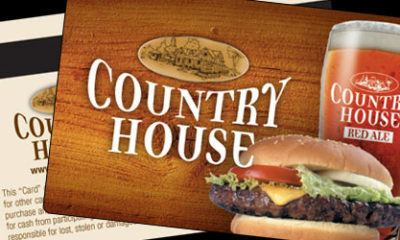 If Country House comes in First, Second or Third we will discount all burger prices on the following MONDAY, May 6th. First Place = $1.00 burgers, Second Place = $2.00 burgers, and Third Place = $3.00 burgers. To receive the weekly specials to your email, please join our Newsletter. In Season, we are happy to offer locally grown Sweet Corn and Fresh Tomatoes from The Smitts Family Farm in Plainfield. Tomatoes are served everyday, everywhere we use them. Corn on the Cob is served Tuesdays. Substitute Corn for French Fries at no extra charge! Country House is proud to announce our new association with Three Floyds. They have consistently proven to be an exceptional brewery with many great beers like, Zombie Dust, Dark Lord, Gumball Head and Yum Yum. We will have a rotating tap handle for Three Floyd products starting with Alpha King very soon. Every day, from 2:30pm to 4:00pm, take 15% off food only. Cinco de Mayo – Cinco de Mayo celebrates the Mexican Army’s victory over the French Empire at the Battle of Puebla, on May 5, 1862. In the U.S. Cinco de Mayo is just a celebration of Mexican-American culture. We like to celebrate with good food and drinks! Country House, Clarendon Hills, has chosen The Wellness House as our most recent charitable partner. The Wellness House supports people living with cancer.